Beirut: Top US diplomat Mike Pompeo landed in Lebanon Friday on the latest leg of his journey across the Middle East focused on building a regional united front against Iran. His visit also comes just hours after US President Donald Trump said Washington should recognise Israel’s disputed annexation of the Golan Heights. The call has raised concerns that it will further stoke regional tensions. 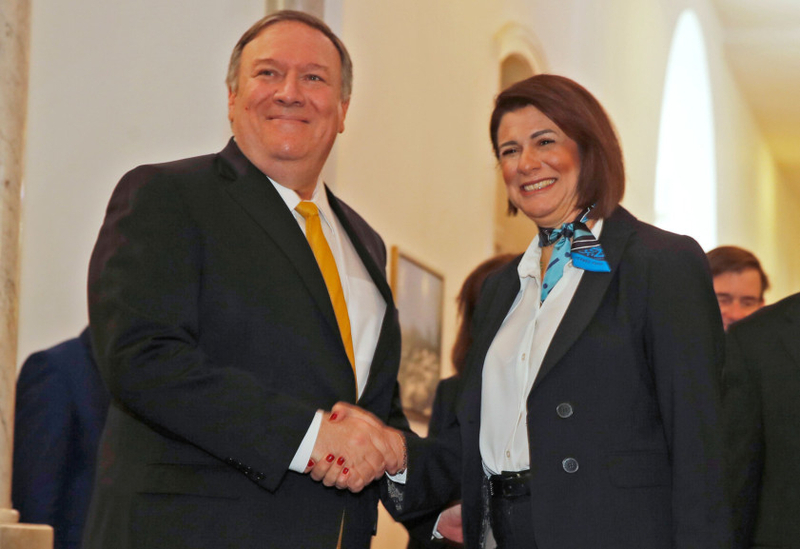 “Pompeo met in Beirut today with Lebanese Minister of the Interior Raya al-Hassan,” US deputy spokesman Robert Palladino said. They “discussed the regional and internal security challenges facing Lebanon and how the United States can help support the interior ministry’s efforts to maintain safety and stability inside Lebanon,” he said. Hassan became the first woman interior minister in Lebanon and the Middle East in a cabinet line-up announced in late January following an eight-month delay. 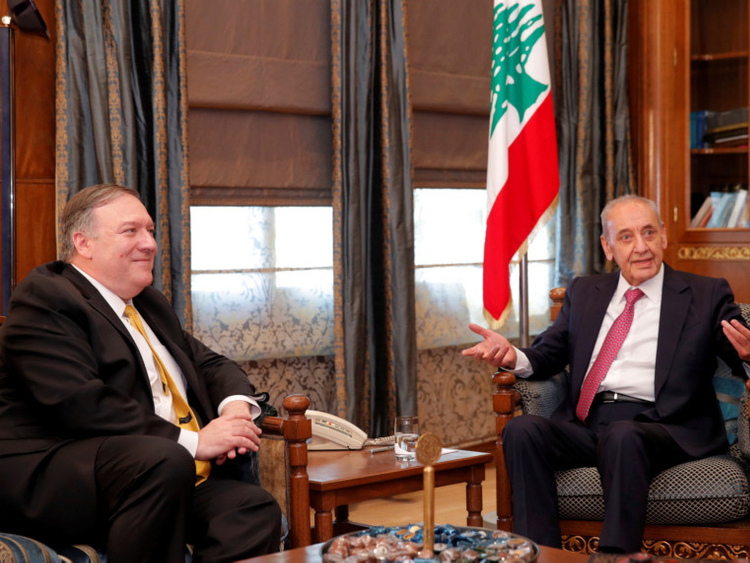 Pompeo also met Parliament Speaker Nabih Berri, before heading to meet Prime Minister Saad Hariri. Pompeo is on a regional tour focused largely on Iran, a country backing Lebanon’s Shiite group Hezbollah. The United States considers Hezbollah a “terrorist” organisation, and has targeted the group with tough sanctions. Lebanon’s new cabinet includes three posts for Hezbollah, including health ministry. Israel is still technically at war with Lebanon. In 2006, Israel and Hezbollah fought a devastating month-long war, and occasional skirmishes still occur along their shared ceasefire line in the south of Lebanon. Israel is also currently building a wall along the 130-kilometre (80-mile) frontier to block Hezbollah attempts to infiltrate. Earlier this week, Lebanese intelligence said Tuesday a Lebanese-Canadian dual national had been arrested on suspicion of spying for Israel. Pompeo is expected to leave Lebanon on Saturday.